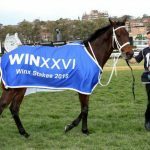 Chris Waller is hoping to land a double-blow on the international stage this week with the trainer readied for his first Dubai runner just a day after super mare Winx is due to be officially recognised for her feats. Waller is currently in London at attend the Longines World’s Best Racehorse announcement (Thursday morning Melbourne time), where it is expected that Winx and retired UK sensation Cracksman will share top honours after both attracted peak ratings of 130 during 2018. Just 24 hours later, Waller will extend his international reach to Dubai for the first time when Comin’ Through makes his debut at Group 2 level at Meydan. Comin’ Through was one of 13 acceptors for the Al Fahidi Fort (1400m) at the Thursday night meeting (Friday morning Melbourne time). 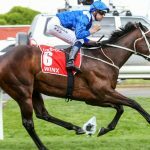 Patrick Cosgrave, who won the Caulfield Cup last spring aboard Godolphin horse Best Solution, will take the ride on Comin’ Through, who is raced by Sir Owen Glenn. The Meydan card features a number of familiar names to Australian racegoers, not the least being Faatinah, who races for Shadwell Stud under the guidance of the Lindsay Park stable. He’ll contest the opening race on the card over 1000 metres. Last year’s Group 1 Caulfield Stakes (2000m) runner-up Blair House runs in a Group 2 race over 1800 metres for Godolphin trainer Charlie Appleby.